Wish you could view your favourite moments at any time, but your digital photos are safely stored away somewhere? 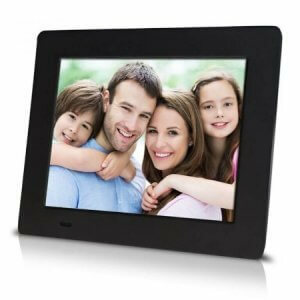 Digital photo frames can play your photos on a single screen and take no more space than a normal picture frame. With so many different brands available, like Merlin, Sungale, and PicaVue, it is no doubt difficult to choose. Let us walk you through the process of choosing digital photo frames and explain the different features available. We shall also follow it up with our recommendations for the top 10 digital photo frames to buy online in India, based on their cost performance, popularity, extra features, and overall quality of each model. Here is a step-by-step instruction guide on the most important pointers to pay attention to when choosing a digital photo frame to buy. An important starting point is to look for a product that comes fully equipped with all the additional features you want. Most digital photo frames have display sizes ranging from 7” to 15”. 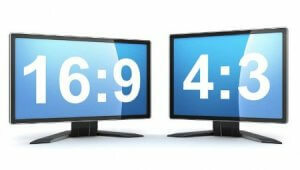 Of these, the most popular screens are between 7 to 12 inches. You should choose the size based on your room size, and where you’re going to place the frame. If you’re looking for something to place on your work desk, a 7″ frame should be enough, but for your living room, a 10″ to 12″ screen would be better. For the best viewing experience, we strongly recommend purchasing a digital photo frame based on the dimensions of your photos. The two most common aspect ratios are 4:3 and 16:9, and if you choose a 16:9 frame for 4:3 photos, you’ll end up with stretched out photos, so make sure you match the aspect ratio to that of your photos. Digital frames come with various internal and/or external data storage options, so make sure you calculate your storage space needs before you buy a digital photo frame. While some frames have no built-in memory, there are some that do, so if you’re not keen on using external storage, we recommend checking for this specification. As a frame’s internal storage capacity increases, the dependence on removable devices somewhat decreases, so if you’re planning to use USB pen drives or SD cards, make sure your frame is compatible with the ones you have. Using incompatible external storage devices with a frame can sometimes corrupt them, so be careful about that! Although WiFi-enabled frames are more expensive, if you want a way to share recent photos with loved ones around the world, in real time, you’ll need WiFi features. However, if you are looking for a way to display your huge collection of digital photos, so you can relive those moments again, WiFi is not required. 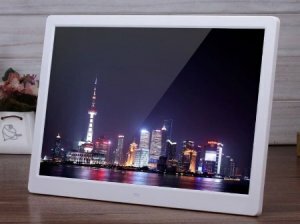 In most cases, every good quality digital photo frame you come across will have some sort of date and time functionality, and the slideshow functions to add interval time, transitions, and background music. 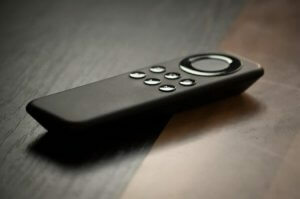 Digital frames may come with a remote control or a touchscreen display as well. 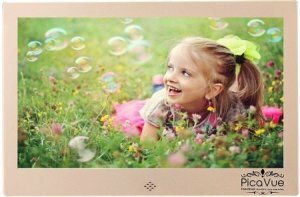 Without further delay, let us reveal our ranking of the top 5 best digital photo frames you can buy online in India. Before making your final selection, be sure to browse the best deals on Amazon since these items are often on sale and are sold at discounted prices! 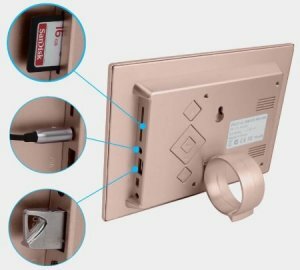 This frame is easy to operate as it reads most USB and SD card formats, and it has an inbuilt memory of 512 MB as well, so you can store data in the device itself. The 4:3 aspect ratio is recommended for smartphone photos, and it supports dual orientation, video + music playback, and it comes with an auto on/off timer too! If you’re planning to view photos taken mostly with a DSLR though, then the 4:3 aspect ration will not be enough for you, as it would not be able to do justice to your photos, especially with its 800 x 600 resolution. It’s also the most expensive frame on this list, so if you’re on a budget, you might want to consider one of the others. This digital photo frame reads most SD card formats, comes with a remote control, and supports photo, video, and music playback. 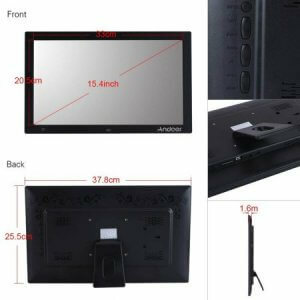 With an 800 x 600 resolution and a 4:3 aspect ration, this easy to use digital photo frame is recommended for those who want to view their digital camera photos, as well as their smartphone photos. Although this photo frame is good enough for photos taken with digicams and smartphones, the aspect ratio and resolution are not high enough for DSLR photos. Since it is a 12 inches frame, it won’t be the best choice for an office desk, so we would suggest placing it in much larger places, such as on a table in your living room. This ultra-sleek frame, with 800 x 600 pixels can read jpeg files on USB pen drives and SD cards, and display them for you in a slideshow format with your choice of intervals. You can also adjust the brightness levels, as well as how the photo appears, so regardless of the aspect ratios, your images will fill the screen. It is sturdy, dependable, and although it doesn’t have as many features, it is really easy to use and is recommended as a gift for elderly people because they would appreciate the simplicity of the product. Our favourite feature of this frame is its ability to copy, rotate, and delete photos directly from within the frame! 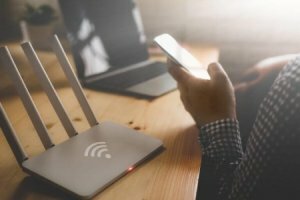 This digital frame comes with a 1-year warranty and is the only one on this list that allows you to connect to wifi and transfer photos with ease. It doesn’t have its personal cloud storage, but you can access your other cloud accounts on it. 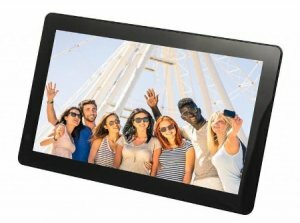 Aside from displaying photos, this touchscreen photo frame supports music and video playback too. It works on external memory and includes a 4 GB SD card you can use to transfer media. It also has a USB port, so if the SD card runs out of space, you can use a pen drive as well. It has a resolution of 1024 x 600 and is recommended for those who want a digital photo frame to view their DSLR photos and videos. 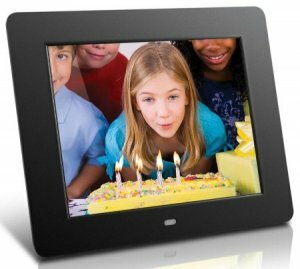 The best affordable digital photo frames on the market, these have a 16:9 aspect ratio and 1024 x 600 resolution. This digital frame can play photos, videos, and music separately or together in a special ‘mix mode’ slideshow function. The frame is manufactured locally, and comes with a 1-year warranty and makes for an ideal gift. It also comes with a remote control, is wall mountable, plays most USB and SD card formats, and features an energy-saving motion sensor. Since it is packed with features, we recommend it to those who want a high-resolution frame with the right aspect ratio to view photos and video taken with a DSLR. As you are searching for the best digital photo frame to buy, for yourself or as a gift for someone else, be sure to keep the user’s level of technical abilities in mind. It can be overwhelming since there are quite a few technical specifications you need to keep in mind, but if you do that, you’ll be able to make the best choice. We hope our buying guide helped you understand how you can choose the best frame, and you were able to find a suitable digital photo frame for your needs from our list of recommendations! Since all the above-mentioned products are available online, you don’t even need to go anywhere to buy them – so what are you waiting for?